Average rent in San Diego County has reached $1,748, increasing 8% in the last year. The United States’ eighth-largest city is the 12th most expensive for renters, said a study released this week by real estate website Zumper. San Diego’s ranking was unchanged since the website’s report last month. The most expensive places for renters are San Francisco, New York, San Jose, Boston and Los Angeles. Zumper said the median rent for a one-bedroom in San Diego was $1,590 a month, up 6 percent in a year, and $2,160 a month for a two-bedroom, up 6.4 percent in a year. The cheapest place for renters is Toledo, Ohio, with a monthly rent of $480 for a one-bedroom and $580 for a two-bedroom. San Francisco stayed the most expensive place with $3,370 a month for a one-bedroom and $4,500 for a two-bedroom. The Zumper study should be taken with a grain of salt because it does not look at the cities’ median household income in relation to rent. San Diego County is not the worst place in California for renters — even though it feels like it to many of us. 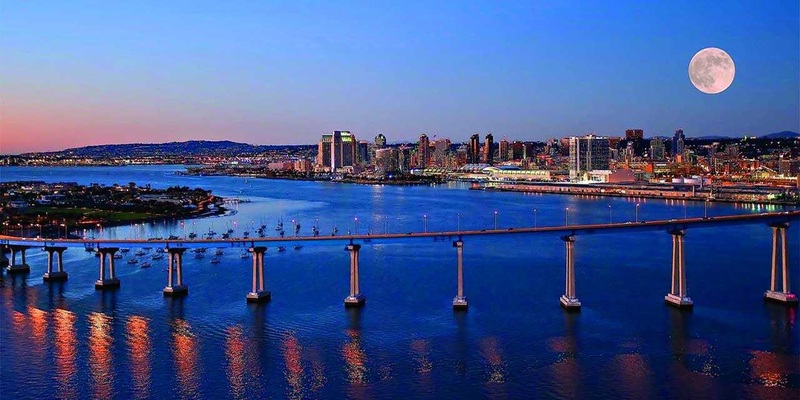 Renters in San Diego and Orange counties shell out about 35 percent of their incomes in rent, said a report from London Moeder Advisors. Compare that to Santa Cruz County where 41 percent of income goes to rent or Santa Barbara County where rent takes 48 percent. A larger study from Bankrate in October looked at the overall city portfolio to figure out the best places to build wealth, such as income after taxes, employment, home prices and access to education. In that case, San Diego ranked near the bottom (15th out of 18 cities) because of low home-ownership rates and money in savings, but scored OK with unemployment and access to education. It may seem like home-buying is the better option for San Diego renters but a study this week from real estate website Zillow throws cold water on the idea. Because of rising rent, Zillow figured out the typical U.S. renter could afford the monthly costs of buying a home, or even get one that is more expensive that the median-priced home. It concluded renters in 37 of the United States’ 50 largest cities could afford a place that is 50 percent higher than their area’s median-home price. San Diego was not on that list. Rent prices are still much lower than the monthly cost of the median home price in San Diego. So, for now, many San Diegans may have to continue renting — even if they want a home — because monthly costs would significantly increase with monthly mortgage and tax payments. But, assuming a San Diego renter has money for a 20 percent down payment and finances with a 30-year fixed-rate mortgage, a cheap condo — which is in very low supply — is within reach. The monthly mortgage on a $250,000 condo, plus homeowner association fees, property taxes and insurance, is nearly the same monthly cost as Zumper’s $1,590 rent on a one-bedroom.